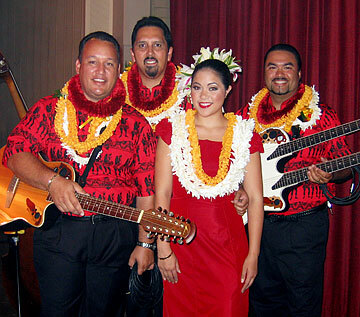 The men of Na Kama -- Brian Mersberg, left, Danny Naipo and Eric Lee -- were joined by their hula dancer, Lauren Kanoelani Chang, as they got ready to take the stage. 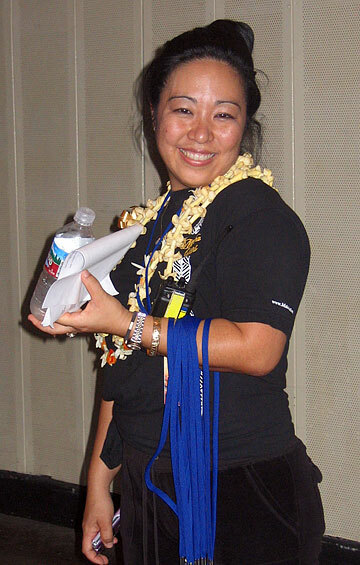 "Walk" promoter Sharlene Oshiro had it all under control. 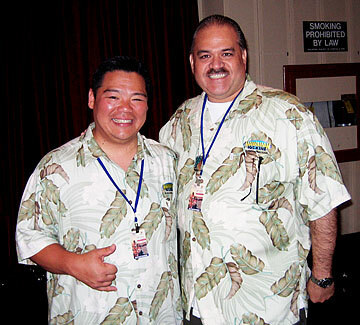 Daniel Ho and Herb Ohta Jr. were superb as the lead-off act. 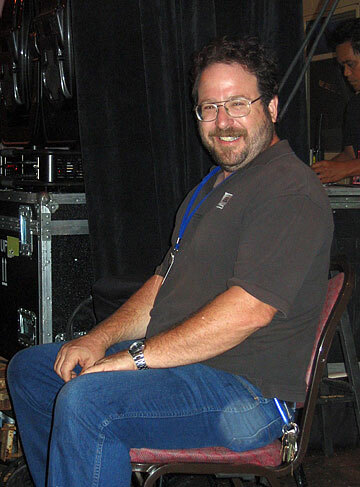 The sound quality was perfect thanks to John Schneck of Custom Audio. 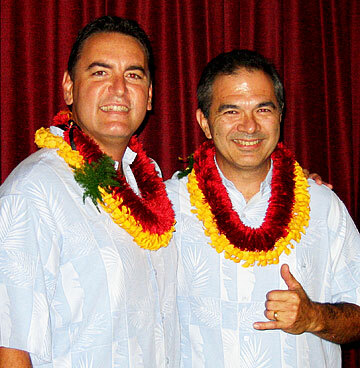 Kumu hula Chinky Mahoe, left, and Hoku Zuttermeister enhanced the show performing as guests of other acts. 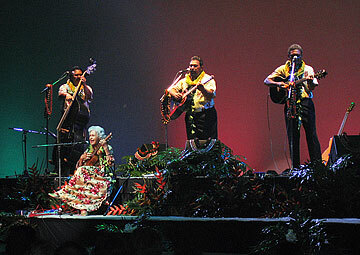 Zuttermeister was brought out to do two songs with Ho'okena. 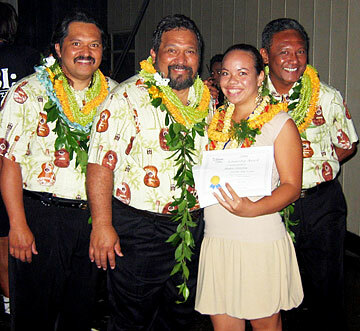 Mahoe and several members of his halau were featured with the Makaha Sons. 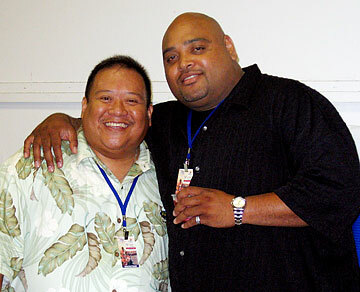 Hawaiian 105 KINE was represented by its top emcees Braddah Wade and Randy "Unbelievable!" Hudnall. No show is complete until Hudnall describes something as "Unbelievable!" 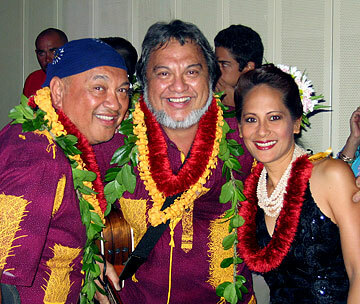 Nani Dudoit danced hula for the Brothers Cazimero -- Robert, left, and Roland -- before performing with Ho'okena. 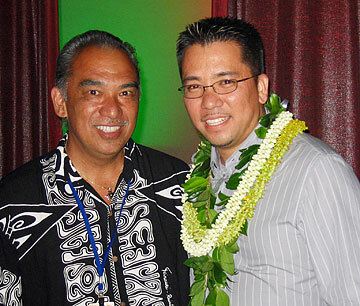 Shalysse Gramberg, 2006 Makaha Sons Scholarship recipient, talked with the Sons -- John Koko, left, Jerome Koko, and Louis "Moon" Kauakahi -- moments before they opened the second half of the show. 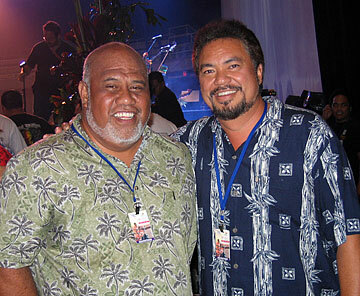 Manu Boyd, left, the leader of Ho'okena, talked backstage with Ho'okena bassist Chris Kamaka after dancing a spirited version of "Teve Teve" for the Brothers Cazimero. 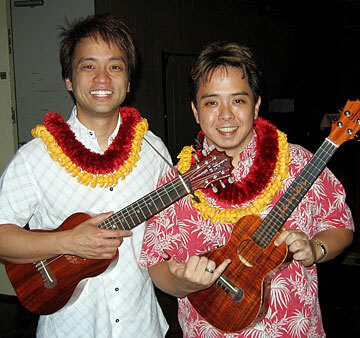 Hawaiian music veterans Bobby Hall and Mark Yim had an earlier commitment but arrived in time to join the Sons for "Hawai'i Aloha."